Paul S. Chan Attorney Profile | Bird, Marella, Boxer, Wolpert, Nessim, Drooks, Lincenberg & Rhow, P.C. Paul S. Chan is the managing principal of Bird Marella. His practice focuses on the trial and arbitration of complex business disputes, including commercial fraud, class action, securities, and intellectual property litigations. Paul also represents companies and individuals in regulatory and parallel civil/criminal investigations. He has particular expertise litigating cases involving the False Claims Act, civil RICO statutes, unfair competition and theft of trade secrets. His clients include Fortune 500 corporations, major financial institutions, and emerging technology companies. Paul has extensive trial experience. In over 20 years of practice, he has successfully tried numerous jury trials, bench trials, and binding arbitrations before both commercial and securities arbitration tribunals. He has been recognized as the “Trial Lawyer of the Year” by the Century City Bar Association, one of the “500 Leading Lawyers in America” by Lawdragon, one of the “Best Lawyers in America,” a “Southern California Super Lawyer” by Los Angeles Magazine, and (previously) one of the “Best Lawyers Under 40” by the National Asian Pacific American Bar Association. He is also the former President of the Southern California Chinese Lawyers Association; a Member of the Board of Directors of Asian Americans Advancing Justice; and was named among the “2019 Most Influential Minority Attorneys” by the Los Angeles Business Journal. Trial counsel for JM Eagle, the world’s largest manufacturer of plastic pipe products, in a federal False Claims Act litigation pursued by over 45 intervening states and municipalities and a parallel class action involving claimed damages of over $2 billion. After a five-week jury trial of claims brought by five bellwether plaintiffs, successfully obtained a ruling from the court reducing plaintiffs’ potential damages from $47 million to only $2 million. After a week of deliberations, the court declared a mistrial after the jury deadlocked over whether plaintiffs were entitled to recover any damages whatsoever. Trial counsel for a large Taiwanese conglomerate and other lead defendants in a 34-defendant civil RICO, fraud and alter ego action, stemming from the alleged “bust out” of flat screen television company Westinghouse Digital Electronics. Plaintiff sought over $80 million in trebled RICO damages. After successfully obtaining summary adjudication of certain claims and procuring victories on several key motions in limine on the eve of trial, the case was successfully resolved for a nominal amount. Trial counsel for the writers and creators of the television program “Will & Grace,” in an entertainment accounting jury trial against NBC Studios. Plaintiffs alleged NBC Studios failed to license “Will & Grace” for fair market value, failed to pay proper profit participations, and engaged in fraud and self-dealing by licensing the program to its corporate parent, the NBC network. After a three month jury trial, the jury returned a $49.5 million verdict in favor of the clients. Lead counsel for a global non-profit provider of AIDS/HIV healthcare, prevention services, and testing, in a high-profile False Claims Act lawsuit seeking eight-figure damages. Plaintiffs/relators alleged violations of the federal anti-kickback laws governing payments for patient referrals. Successfully moved to dismiss virtually all claims in the realtors’ complaint, leaving only a very narrow category of “claims for payments” relating to literally two patients, with very modest accompanying exposure. Case resolved favorably thereafter. Represented former head of the luxury hotel division of Starwood Hotels and then Hilton Hotels, in a federal pre-indictment criminal investigation in the Southern District of New York involving the alleged theft of trade secrets and computer fraud, as well as a parallel federal civil case in the Southern District of New York. Helped obtain a no charge decision from the United States Attorney’s Office, and a confidential resolution of the civil action. Litigation counsel for Mattel, Inc. Successfully prosecuted numerous trade secret theft, trademark, and copyright infringement actions involving the Mattel, Barbie and other iconic brands against competitors in the toy, stationary, cosmetics and apparel, and technology industries. Litigation counsel for Ranch 99 Supermarkets, the largest chain of Asian-foods grocery stores in the United States. Represent the company in a variety of litigation matters including employment defense and intellectual property disputes. Trial counsel for Charles Schwab & Co. in numerous trade secret misappropriation actions involving theft of customer information and client solicitation by a competitor. Pursue temporary and permanent injunctive relief actions against the company’s competitors. Successfully represented a senior scientist at Bayer Healthcare in parallel civil and criminal actions involving alleged violations of the federal Computer Fraud and Abuse Act and the Economic Espionage Act. Obtained a no charge decision in the criminal investigation and civil action settled on favorable terms thereafter. Litigation counsel for KB Home and related entities in a putative state-wide class action relating to alleged mortgage and appraisal fraud in connection with the sale of residences, and a federal derivative litigation relating to Countrywide Financial. Case settled on favorable terms following successful opposition to class certification motion. Trial counsel for Cyntron Payroll Solutions, a leading provider of payroll software solutions, in a two-week jury trial involving eight-figure damages claims for breach of fiduciary duty, defamation, and intentional infliction of emotional distress brought by the company’s former president. Obtained a complete defense verdict. Trial counsel for Mooney Farms, the nation’s largest producer of sun-dried tomato products, in a jury trial concerning the fraudulent sale of thousands of gallons of adulterated olive oil, following a recall conducted by the Canadian Food & Drug Administration. Obtained a substantial settlement for the client midway through trial. Lead counsel for Honeywell Inc. in a breach of contract, negligence, and fraud action stemming from alleged delays in the construction of a Beverly Hills surgical center. Successfully obtained summary judgment on all claims and order affirming the summary judgment on appeal. 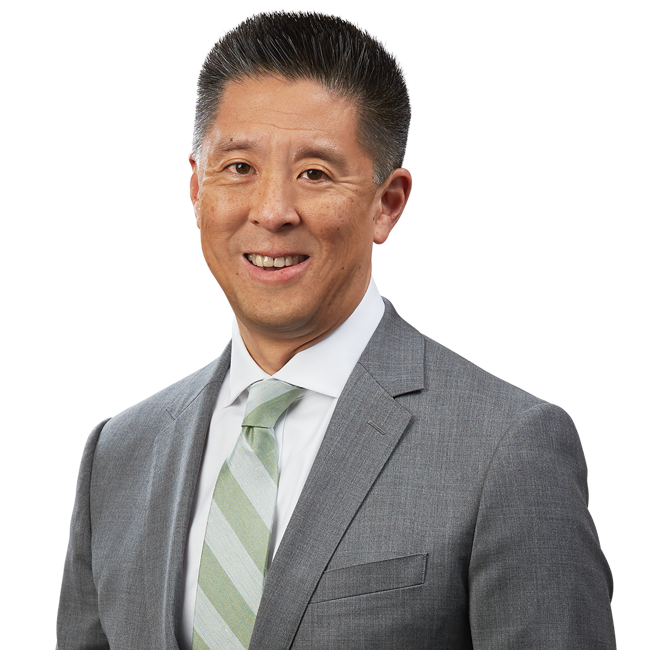 Managing Principal Paul Chan was recently interviewed by Los Angeles-based radio station KFI-AM 640 to discuss last year’s high profile case related to Chinese intelligent officers stealing corporate secrets of U.S. aerospace companies. Click here to listen to the audio clip. Speaker, Taking Aim at the Foreign Corrupt Practices Act, National Asian Pacific American Bar Association Regional Conference, 2012.